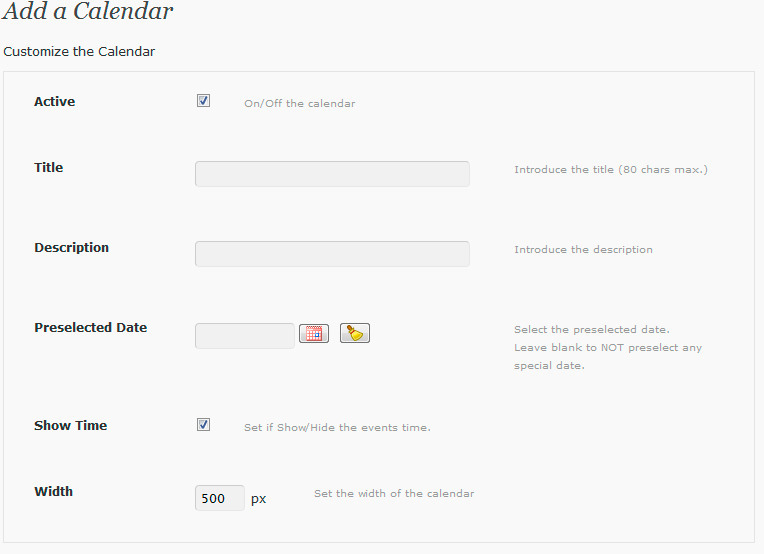 Professional and elegant plugin that adds an Event Calendar to your posts or pages. Fixed an issue with "Upcoming events" widget. Fixed an issue with date range. 04 Aug, 2012 – Fixed issues with Hebrew characters. 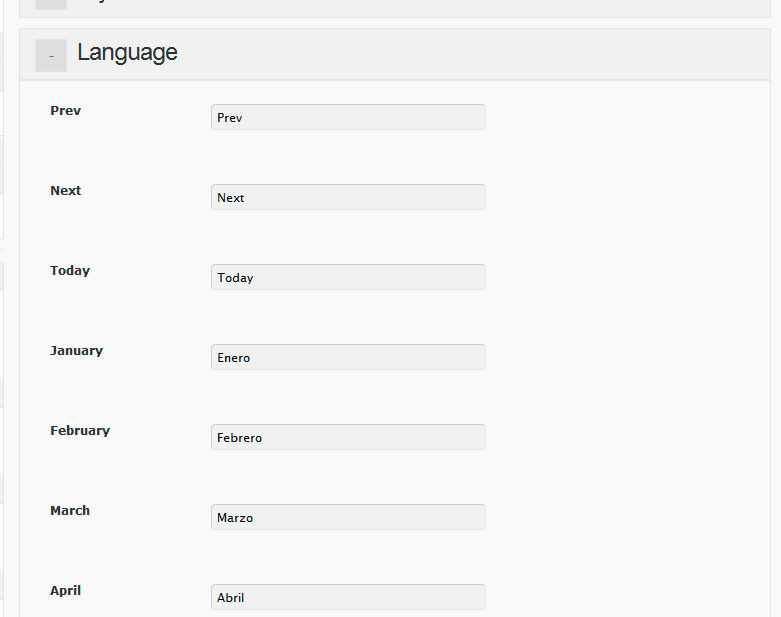 27 Apr, 2012 – Improved the admin UI. 07 Mar, 2012 – Fixed a minor issue with time box colors. 05 Mar, 2012 – Fixed issues with weekly events. 28 Feb, 2012 – Fixed minor issues. 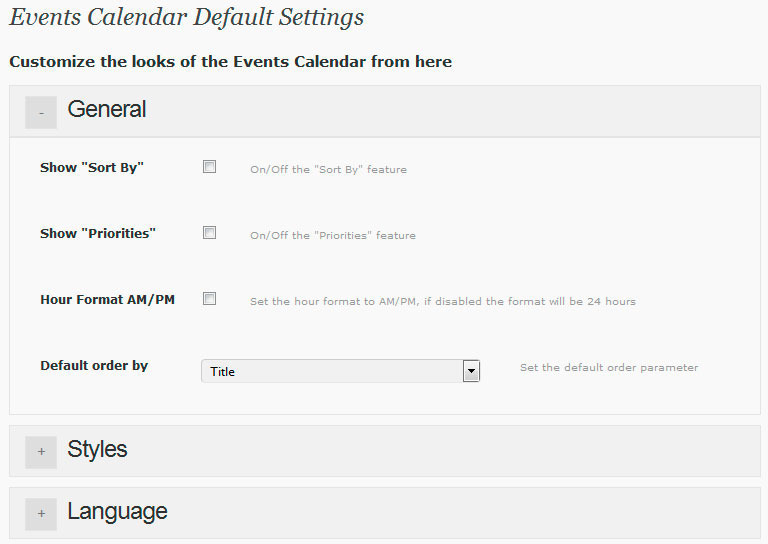 27 Jan, 2012 – Added Events Font-size Customization. 16 Jan, 2012 – Added End Date Feature. 7 Jan, 2012 – Fixed an issue in the last update. 19 Dec, 2011 – Added Show/Hide Time feature. Added select Date Format on Widget. Added "All day" feature on events. 15 Dec, 2011 – Fixed an issue with the font size. 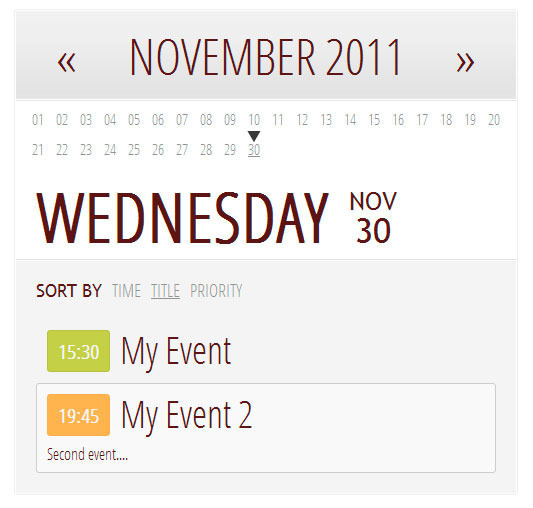 7 Dec, 2011 – Added "Upcoming Events" Widget. 5 Dec, 2011 – Added Style Options to change font-sizes. 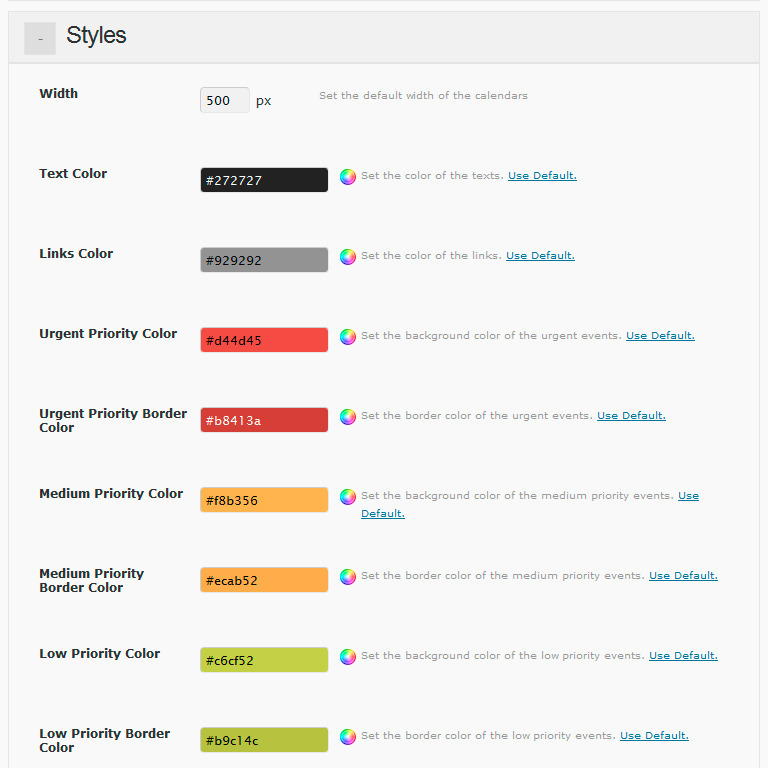 3 Dec, 2011 – Fixed minor issues and CSS styles. 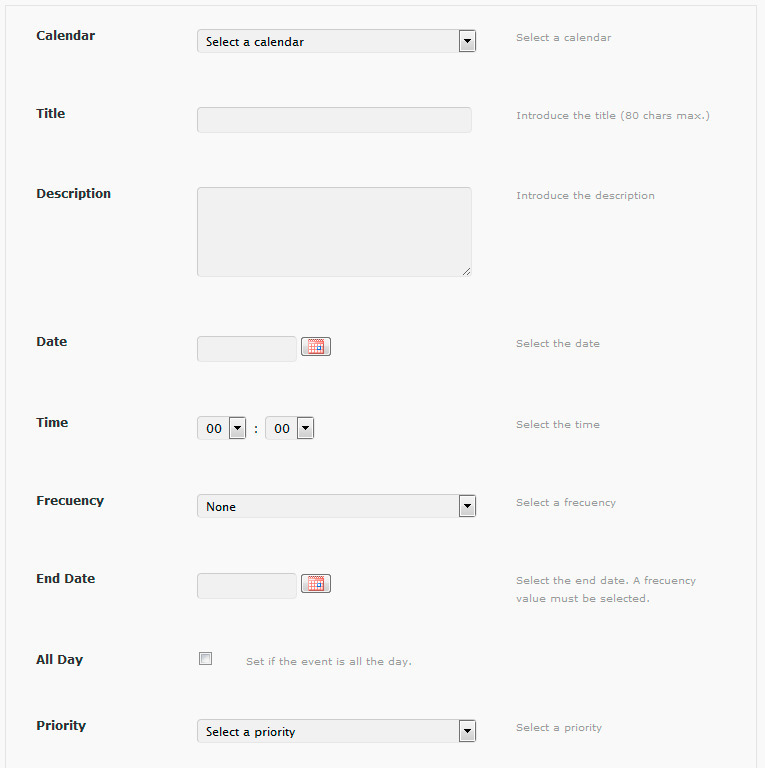 1 Dec, 2011 – Added Multi-Calendar Feature.